Need to get the tribe out of the house to burn off some energy? We’ve got you covered! 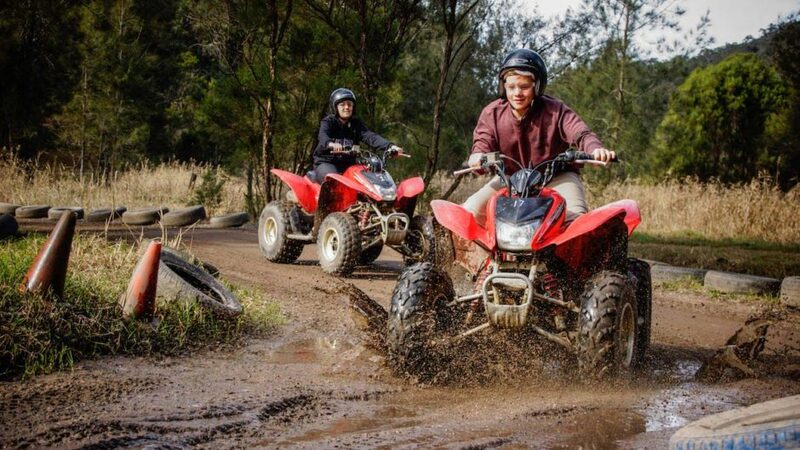 Here are six of our favourite Central Coast activities for active and adventurous kids and teenagers. 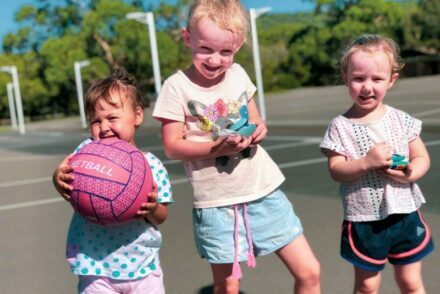 Flip Out Gosford is under new management (January 2019) and they’re upping the ante when it comes to high-energy fun. 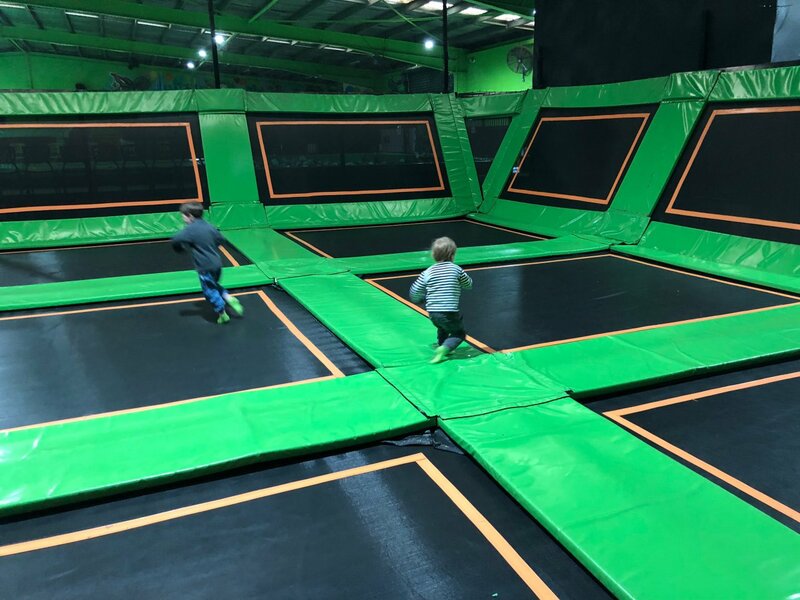 This indoor trampoline park has a wall runner, foam pit, Under 10s area and dodgeball section. For kids with boundless energy, Flip Out offers ninja classes where kids learn awesome tricks such as front flips, back flips and twisting skills to improve their agility, coordination and aerial awareness. Plus, they run playgroup sessions for parents and tots aged 6 and under during school term. Find out more about Flip Out, its activities and sessions times here. 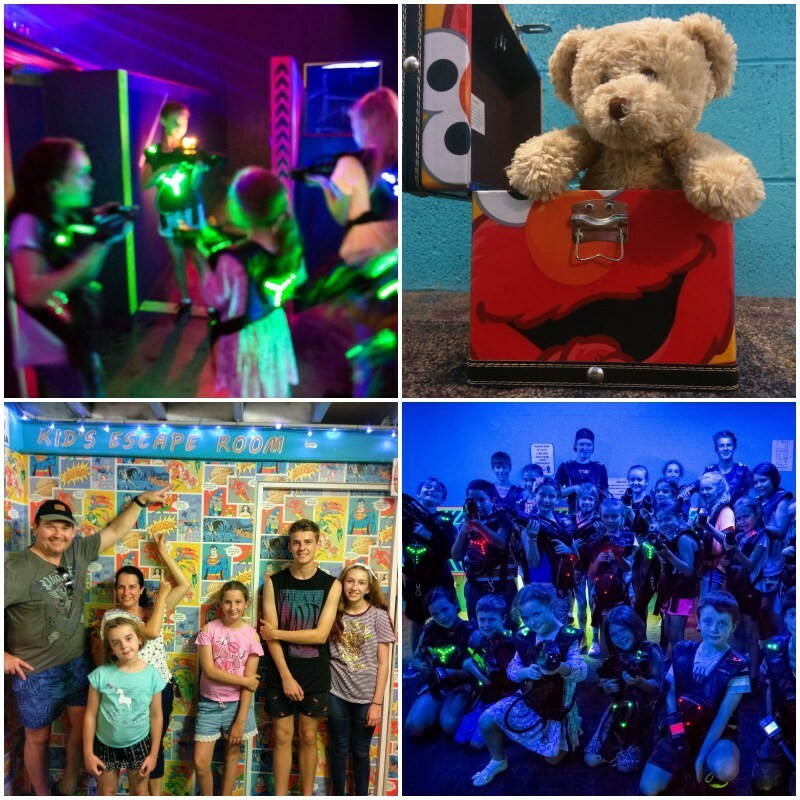 Laserblast at Charmhaven is a family entertainment centre that’s home to three awesome activities within the one venue: laser tag, escape rooms, and new for 2019, a mini putt putt golf course. Their new putt putt golf course (due to open in time for the 2019 April school holidays) is a UV space-themed 9-hole course. It’s just $5/person, four kids can take to the course at once and it’s for all ages. Laser tag is a game the whole family can get involved in. Games start from just $10 at Laserblast. Keep an eye on their Facebook page for special deals too. 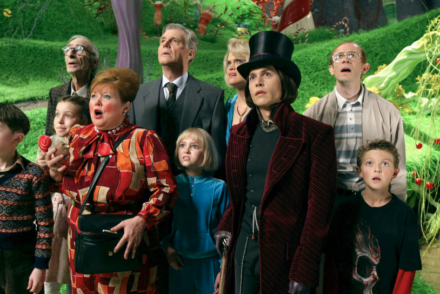 At the end of 2018 they launched a new family Escape Room – for kids aged 5+. It’s a heap of fun and a great way for kids to flex their brain muscles, problem solve and use teamwork skills. Playing in Puddles had a go: check out our review here. FootGolf is the combination of soccer and golf played on a golf course, and trust us, it’s a whole lot of fun! The aim of the game is to kick a soccer ball into nine specially designed holes in as few kicks as possible. 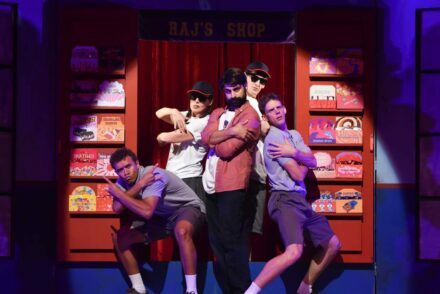 It’s perfect for pre-schoolers all the way up to teenagers – and adults too. 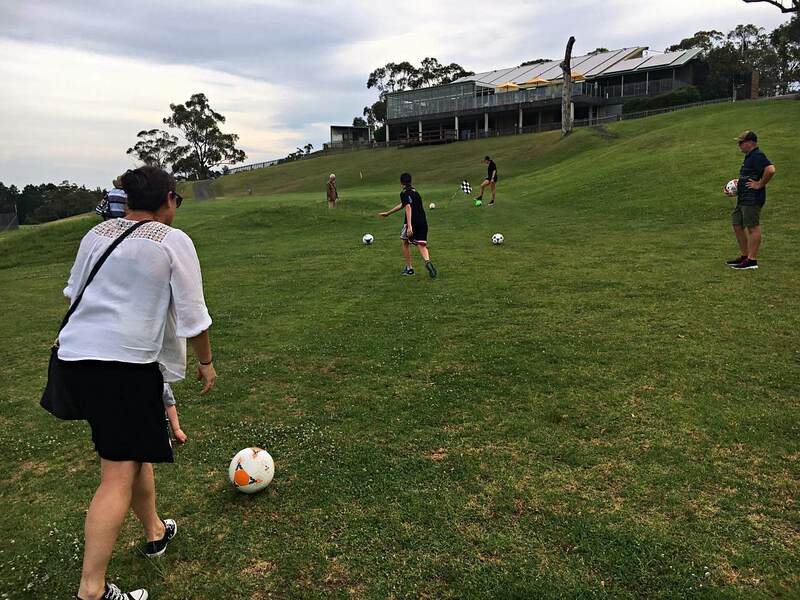 Check out Playing in Puddles’ FootGolf road test and read all about FootGolf at Mangrove Mountain’s facilities here. Glenworth Valley is a place you can entertain the whole family – no matter their age or interests. There are pony rides for the youngest members of the family and guided horse rides for those seven years and older. 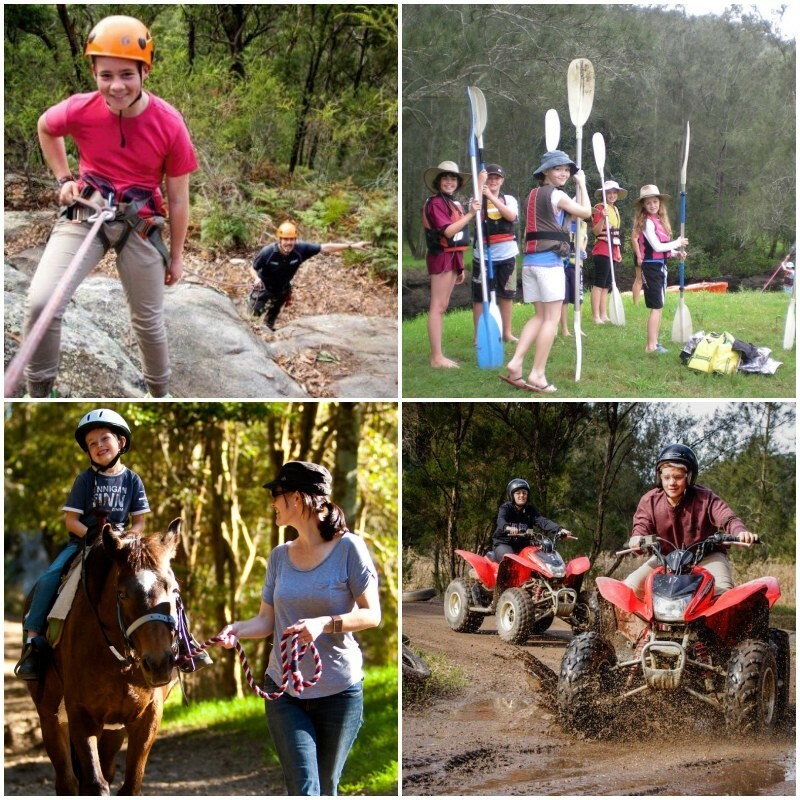 Plus, for true adventurers there is quad biking, abseiling, kayaking, stand-up paddle boarding and laser skirmish! Playing in Puddles visited: read more about Glenworth Valley Outdoor Adventures’ activities, including a guide of what’s available to children based on age, here. 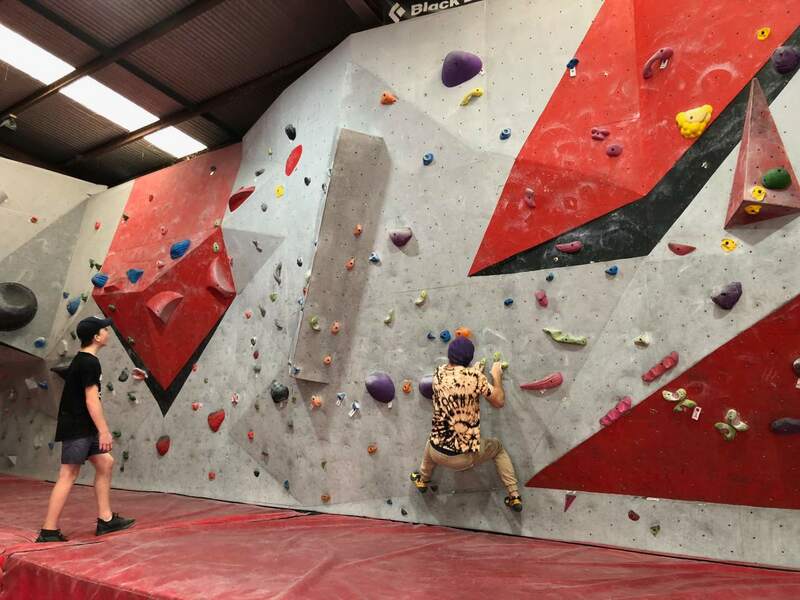 The Pulse Climbing facility at West Gosford is an indoor bouldering gym that provides easy climbs for kids as young as five, and more challenging ones for tweens and teens. There are around 90 different climbing routes to try out, plus youth clinics and training squads for those who are super keen. Playing in Puddles climbed to new heights at Pulse Climbing – find out everything they have to offer in our review here. 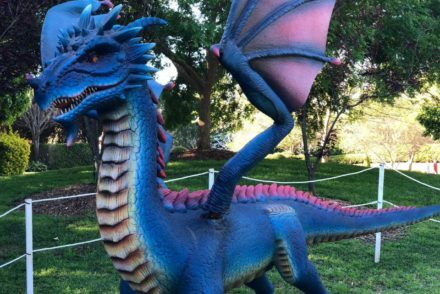 A day at Treetops in Wyong Creek will definitely wow the kids. 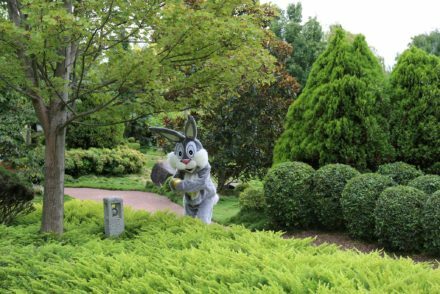 Treetops has three main attractions. 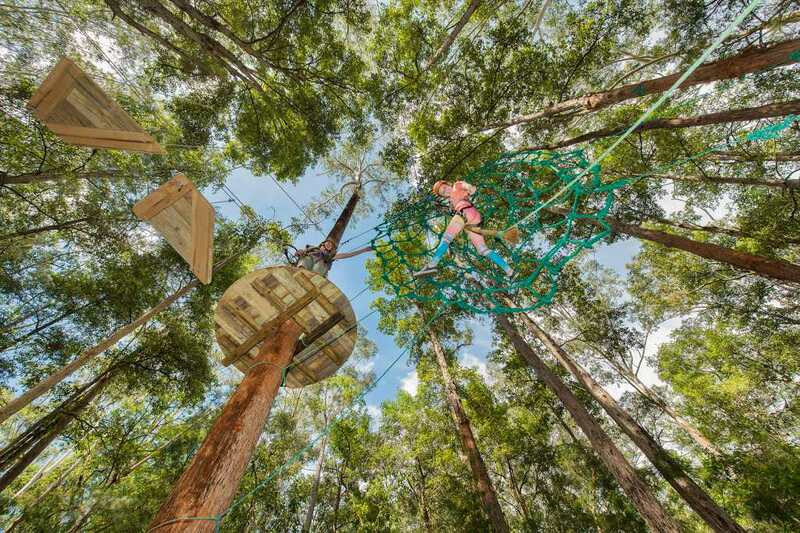 There’s the Adventure Park, which has challenges such as flying foxes, Tarzan swings, tightropes and twisted ladders – suitable for three years and over. The Vertical Challenge allows kids five and over to climb a massive Eucalypt tree. And for tweens and teens, there’s the Crazy Rider’s rollercoaster ziplines that let them fly through the trees. Read about all the different Treetops experiences here.